HMAS Sheean SSG-77 conducting air sea safety assessment with a Seahawk helicopter from HMAS Adelaide off Garden Island, Western Australia. RAN Photo. 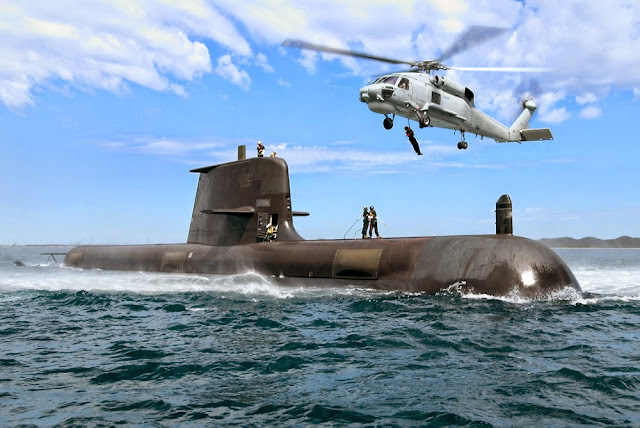 The Royal Australian Navy (RAN) currently has a fleet of 6 Collins class diesel-electric hunter-killer submarines (SSK) in its arsenal. 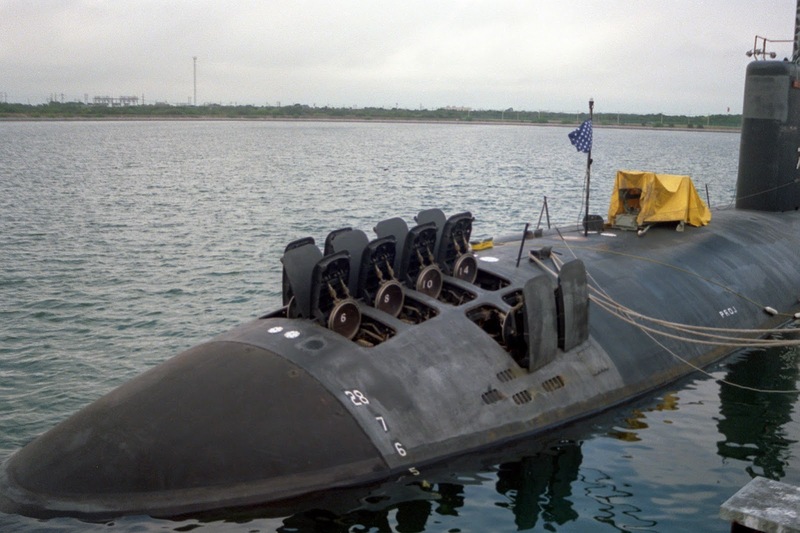 They were designed in collaboration with Kockums AB of Sweden and largely built in New South Wales, Australia, by the then newly formed Australian Submarine Corporation. They are essentially enlarged versions of the original ( non-AIP )Vastergotland class submarine which then served the Royal Swedish Navy. 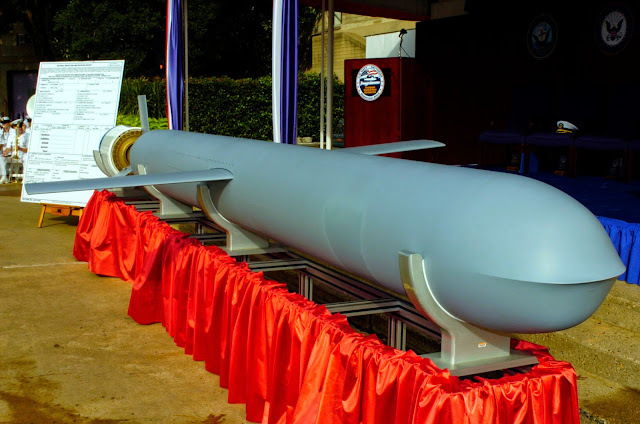 The RAN classifies them as " Guided Missile Submarine, Diesel-Electric " or SSGs, obviously referring to the Sub Harpoon missile launching capability. The are named after distinguished former members of the Australian Navy. They have pennant numbers from SSG-73 to SSG-78. At 3100 tonnes surfaced and 3400 tonnes submerged, they were then the world's largest modern non-nuclear submarines. Among the first to be totally designed with computer-aided techniques, they were supposed to be highly automated, have long endurances, quiet, fast and pack a powerful punch. From the RAN webpage "Designed to be as quiet as advanced technology can achieve, Collins Class submarines have been developed from five generations of submarines designed and built by the Swedish Navy." However, the reality was that the entire Collins project was fraught with problems and delays right from day one and even to this day. The Aussies made the fundamental mistake of taking a completely new submarine design and having it built domestically at a new boat yard with no prior history or experience of submarine construction. First of class HMAS Collins was laid down in 1990 and commissioned in 1996 while the 6th boat HMAS Rankin was laid down in 1995 and commissioned in 2003. Shortly after that in 2005 the boats were to undergo extensive upgrades to the combat control system just to remain operational, although they also gained additional weapons capabilities like the Mk 48 ADCAP torpedoes. With availability between 0 to 2 boats at any one time in the past few years, the RAN's submarine force only exist on paper. It is no wonder that the planning for the Collins replacement started as early as 2009, barely 6 years after the last boat HMAS Rankin was commissioned. SSG-78 HMAS Rankin, the newest of the six Collins class SSK. Royal Australian Navy Photo. - Buying military off the shelf designs. Though safest might not meet RAN requirements. - Buying military off the shelf designs modified to Australian specifications and built in the country of origin. This mitigates some of the risks relating to both the design and the construction. - Buying military off the shelf designs modified to Australian specifications and built in Australia. Deja vu. - Commissioning a completely new design solely for the RAN built anywhere. Synonymous with kamikaze. With the Collins fiasco still fresh in their minds, the Aussies naturally would want to focus on a proven design this time round. To have made the same mistake twice would be really moronic and unforgivable. So the most likely option to be selected would be the modified off the shelf design built elsewhere. Like I have mentioned in my previous article, there are not many options when shopping for a submarine as there are only a handful of exporters worldwide. 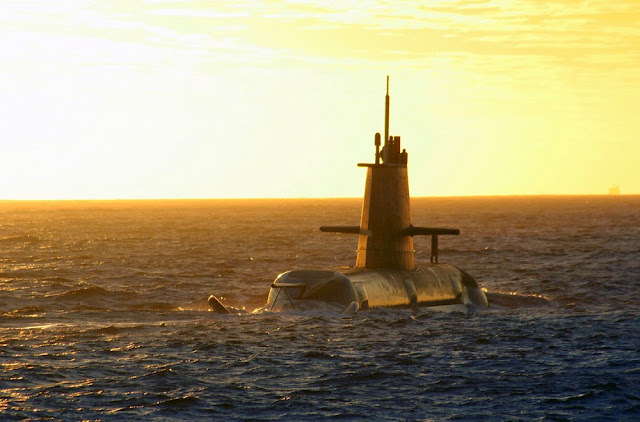 In the past 20 years since the commissioning of HMAS Collins, the submarine's designer Kockums AB had become part of the German ship building conglomerate ThyssenKrupp Marine Systems (TKMS) through a series of mergers and acquisitions. The submarine's builder the Australian Submarine Corporation which initially started out as a joint venture between Kockums AB, the Australian Industry Development Corporation and 2 other private companies was also nationalised and is currently known as ASC Pte Ltd.
TKMS actually has a design that is supposedly catered for Australia's special needs in its subsidiary Howaldtswerke-Deutsche Werft's (HDW) Type 216 diesel-electric submarine. Although its design is somewhat based on the existing Type 212A used by the German and the Italian navies, the Type 216 is substantially bigger ( 4000 tonnes versus 1800 tonnes ) and has yet to be built. That alone would make it much lass palatable to the Aussies. 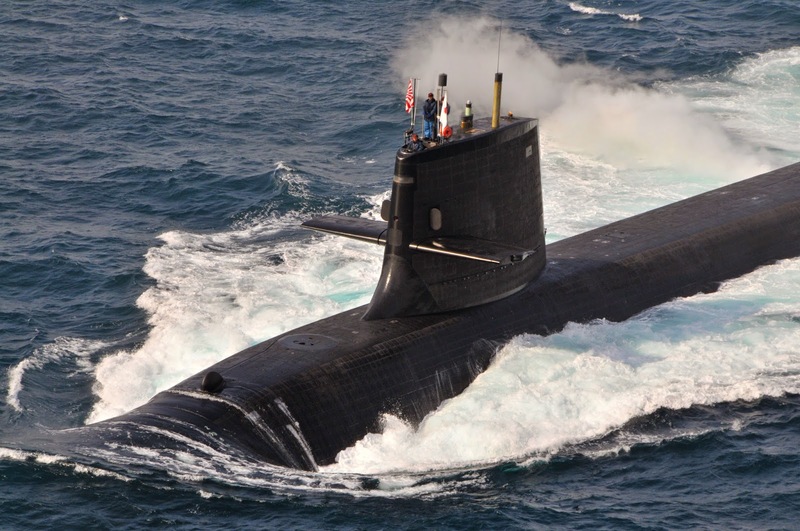 To sum it up, Australia needs a conventional diesel-electric submarine (SSK) with almost the size of a nuclear powered submarine (SSN), this to enable it to have the range and endurance to patrol her vast coastline. Australia also needs it fast, like yesterday. Ok I exaggerate, by 2025 or thereabouts, when the first Collins boat are due to retire, not a lot of lead time by naval procurement timelines actually. Lastly Australia is looking for a proven design, and that sole candidate came from an until recently unexpected source - Japan with her Soryu class ocean going fleet submarine with air-independent propulsion (AIP), quiet, big, lethal, in operation since 2009. 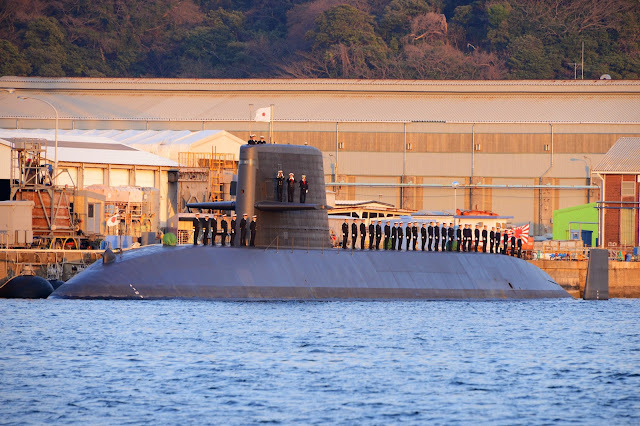 As an added bonus to the Aussies, the Soryu class SSKs have onboard the Sterling AIP engine made by Kockums AB / TKMS so in that sense there would be some continuity with the Collins class should the Soryu be chosen. Japanese? Hey, these guys were building fleet carriers during our grandfather's time. 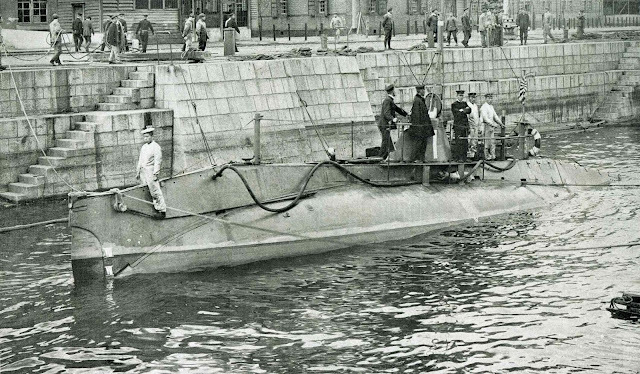 Japan has a long history in submarine construction which started as far back as 1904 when 5 Holland Class submarines were bought from the United States of America. They were originally built at the Fore River Ship and Engine Company in Quincy, Massachusetts and shipped to Yokohama in knock-down kit form from Seattle. They were assembled at the Yokosuka Naval Arsenal (横須賀海軍工廠), then Japan's largest naval shipyard, with the assistance of an American naval architect Arthur Leopold Busch. That same year, the Kawasaki Dockyard Company or Kawasaki Zosensho (川崎造船所) as it is known in Japanese, purchased modified plans of the Holland Class submarine from the designer John Philip Holland directly and went on to build 2 boats with the help of 2 American engineers who had been Holland's assistants. The following year, Japan bought 2 British C class submarines from the shipbuilder Vickers, Sons and Maxim and went on to assemble another 3 from kits at the Kure Naval Arsenal, Kure Kaigun Kosho (呉海軍工廠),, as it is known in Japanese. By 1909, Japan had launched her first submarine tender ( support / supply ship ) and had built a sizeable fleet of ocean going submarines before World War I had ended. As one of the Allied victor countries at the end of World War I, Japan not only took control of the numerous German territories in the Southern Pacific like the Caroline Islands ( modern day Micronesia and Palau ) as mandated by the League of Nations, she was also given several captured German submarines as the spoils of war. 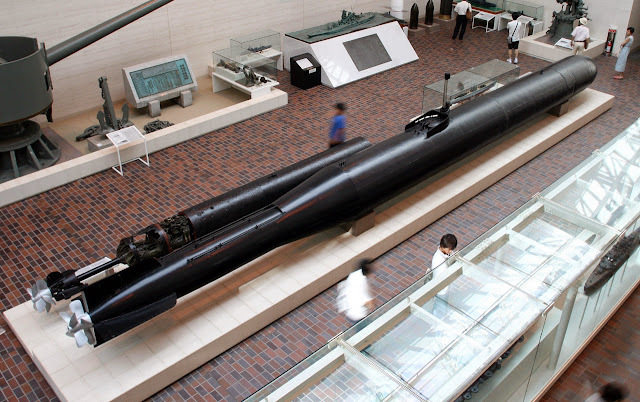 This greatly accelerated her submarine design and building efforts and by the outbreak of World War II, the Imperial Japanese Navy (IJN) would have the greatest variety of submarines available for all sorts of mission. From fleet submarines that could cross oceans to transport and supply submarines, mine laying submarines, even aircraft carrying monsters like the 6500 tonne I-400, midget submarines that are designed to infiltrate naval bases and harbours and eventually to suicide submarines like the Kaitens towards the end of the War. Following her defeat in World War II, the naval yards in Sasebo, Kure and Yokosuka were either converted to commercial entities or became facilities to support and maintain the ships of the US Navy and the newly formed Japan Maritime Self Defense Force (JMSDF), also known as the Kaijojieitai (海上自衛隊) in Japanese. There was a lapse of more than ten years where Japan did not build any submarines. That changed in 1957 when the first generation Oyashio (おやしお) class submarine was constructed by the Kawasaki Heavy Industries in Kobe based on the old IJN I-200 design and some US innovations. 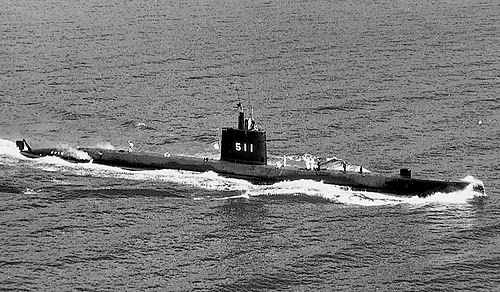 Since then, there had been several successive generations of diesel-electric submarines constructed by Japan, including the Oshio class (1963), the Arashio class (1964), the Uzushio class (1968), the Yushio class (1976), the Harushio class (1987), the new generation Oyashio class (1994) and of course the latest Soryu class (2005) with air-independent propulsion. 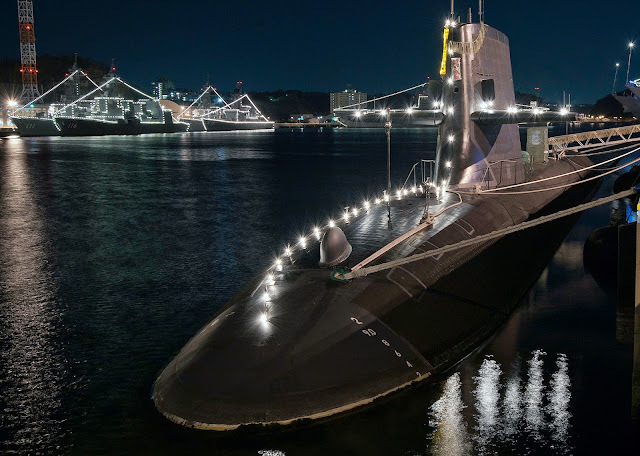 The Soryu class submarine is the latest generation of conventionally powered hunter killer submarine with air-independent propulsion built for the JMSDF. It has a displacement of 2900 tonnes surfaced and 4200 tonnes submerged, the largest displacement of any submarine used by post war Japan. 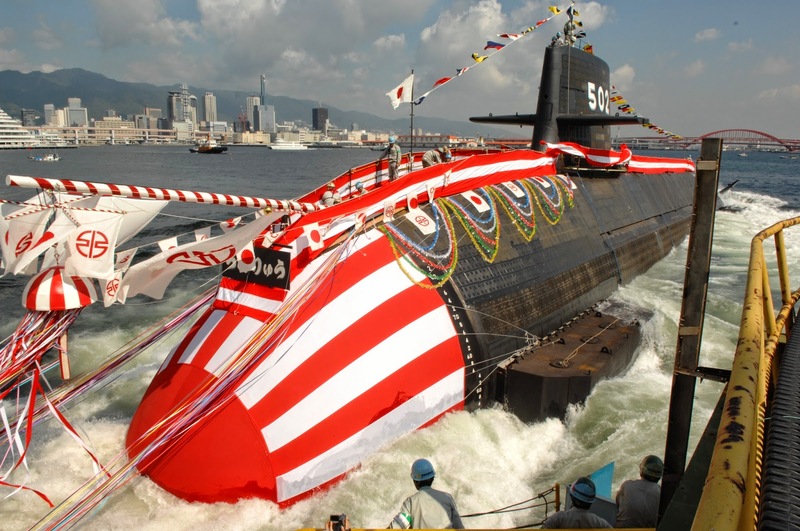 Although all previous generations of JMSDF submarines have been named after ocean currents ( 潮 shio in Japanese means current ), the Soryu class breaks away from this half a century old tradition by being named after auspicious mythical creatures, some of which might include the dragon, the phoenix, the pheasant and the kirin. In this case, the entire class is named after dragons (竜 ryu). SS-509 is under construction and yet to be named. SS-510 and SS-511 are planned. Now I am no naval historian or ship naming expert but if I were to hazard a guess, likely names for these future boats may include Shoryu (翔竜) Flying Dragon, same pronunciation but in different kanji character, Shoryu (祥竜) Blessed Dragon, Hiryu (飛竜) Soaring Dragon, Tenryu (天竜) Heavenly Dragon, Kairyu (海竜) Sea Dragon. Update 7th Jan 2017 - SS-509 had been launched on 12th Oct 2016 and is named the Seiryu ( せいりゅう, in kanji 清瀧, after 清瀧権現 Seiryugongen, the guardian goddess of a Kyoto temple ). The character 清 means clear but could also mean pure. So Pure Dragon be it. Note that 竜 and 龍 both mean dragon and could be pronounced as ryu. With three additional dots used to denote something to do with water, 瀧 could mean water dragon but is much more commonly used in everyday life to mean a waterfall ( 瀧 or 滝 pronounced taki ). Confused? Nevermind, that's Japanese for you. Update 8th Nov 2017 - SS-510 had been launched on 6th Nov at KHI's Kobe facilities. It was named Shoryu, blessed dragon. Shoryu is expected to enter service with the JMSDF in 2019. Note that the name Soryu had previously been used on 2 predecessors, including the World War II Imperial Japanese Navy fleet carrier the IJN Soryu, which took part in the Pearl Harbour Raid in Dec 1941 and was sunk during the Battle of Midway in Jun 1942. The Soryu Class SSK underway. It has a conning tower with a shape resembling that of the Virginia Class SSN, minus the hydroplanes. JMSDF Photo. Third of class SS-503 JDS Hakuryu arriving at Joint Base Pearl Harbour - Hickam, Hawaii for RIMPAC exercises. Operational Depth : Unpublished but estimated at 500m. 2x 3 inch Underwater Countermeasure Launcher Tubes for acoustic device countermeasures (ADCs). 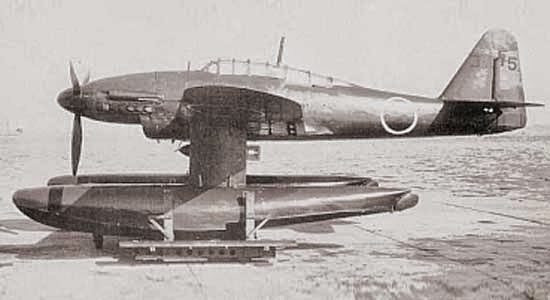 SS-502 JDS Unryu being launched. JMSDF Photo. The Soryu Class SSK in ceremonial light-up. JMSDF Photo. 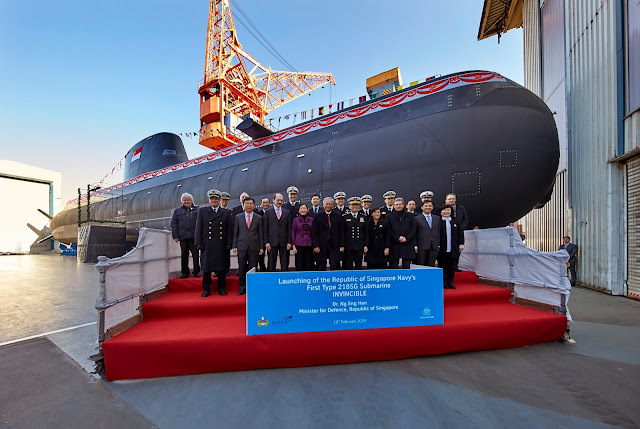 The Soryu Class submarine is the world's largest submarine equipped with air-independent propulsion, and it has been in serial production since 2005, in other words, a well proven design. This represents a tremendous leap in capability for the JMSDF as they never had such AIP capable boats before. Collaborating with Kockums AB to licence produce the Stirling AIP engine was a smart move that allowed immediate access to a relatively risk-free proven technology. Kockum's proprietary Stirling Engine is a silent and vibration-free external combustion engine that had already been installed on the Gotland Class SSK and was also later retrofitted on the older Swedish Navy Vastergotland Class and Singapore Navy Archer Class SSK. The air independent propulsion system drastically reduces the need for frequent battery charging with the air breathing diesel generator which requires the submarine to be either surfaced or in snorkeling mode. It effectively increases the submerged endurance of the submarine and makes its detection much more difficult. Its large displacement translates to having an extremely long range of close to 11000km, exactly what the JMSDF needs to patrol the vast open ocean between the Ryukyu Island Chain ( Okinawa ) and mainland Japan. 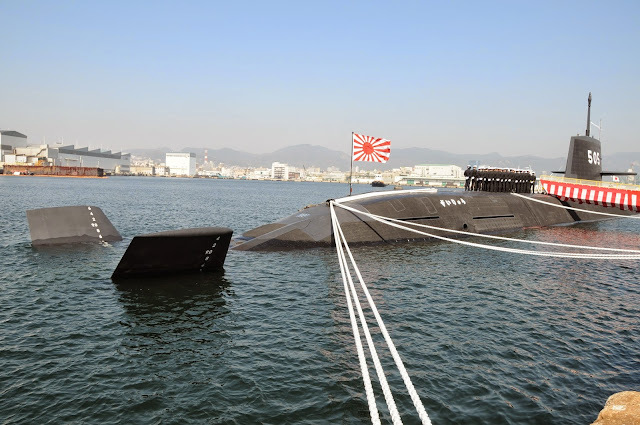 For littoral operations, like patrolling the shallow Seto Inland Sea, the Soryu is fitted with an X rudder to provide high manoeuvrability to the submarine when operating very close to the seabed. This X rudder configuration was initially developed by Kockums for the Swedish A-19 Gotland Class SSK. The X Rudder of SS-505 JDS Zuiryu seen clearly in this JMSDF photo. The quietness of the air-independent propulsion and the advanced sonar suite would allow the Soryu to stalk Chinese ballistic missile boats and SSKs with relative ease. 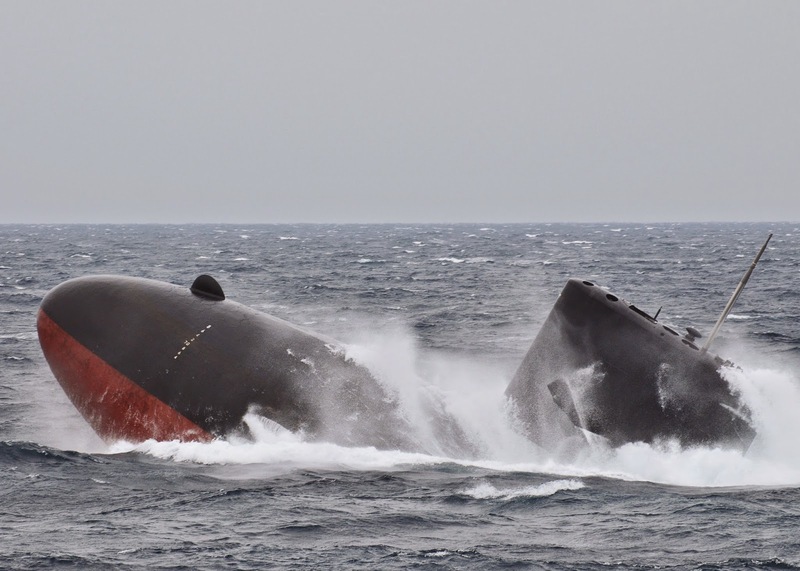 They are armed with Japan's Type 89 torpedo which is wire-guided with both active and passive acoustic homing modes and has very similar characteristics as the USN's Mk 48 ADCAP ( Advanced Capability ) heavyweight torpedo. With a diameter of 533mm, a length of 6.25m and a weight of 1760kg, this torpedo has a 267Kg High Explosive warhead. The effective range is said to be 27 nautical miles (nm) at 40 knots (kts) or 21 nm at 55 kts. The maximum speed is in the range of 70 kts and the operational depth is up to 900m. These very same torpedo tubes can also launch the Boeing UGM-84L Harpoon Block II all weather, over the horizon, submarine launched anti-ship missile which also has a land attack capability. So the Block II Harpoon is essentially a cruise missile in disguise. It has a range of 124km and will post a serious threat to any Chinese or North Korean surface ship or land installations. It is guided by a GPS/INS unit and also has active radar terminal homing. The Block IIs being available to the USN since 1998, I am assuming that Japan has already either bought the newer version or had already upgraded her Block I Harpoons to Block II standard by now. South Korean certainly had! The only glaring deficiency of the Soryu Class is the lack of Tomahawk tactical cruise missile launching capability. This is most likely a self-imposed limitation as the Post War Constitution forbids Japan from arming herself with offensive weapons. The First Post War Major Weapon System Export? The 1947 Japanese Constitution is most famous for its renunciation for the right to wage war contained in Article 9. Its recent reinterpretation by the Abe government also allowed an easing of the self imposed blanket ban for arms export which had been enforced since 1976. 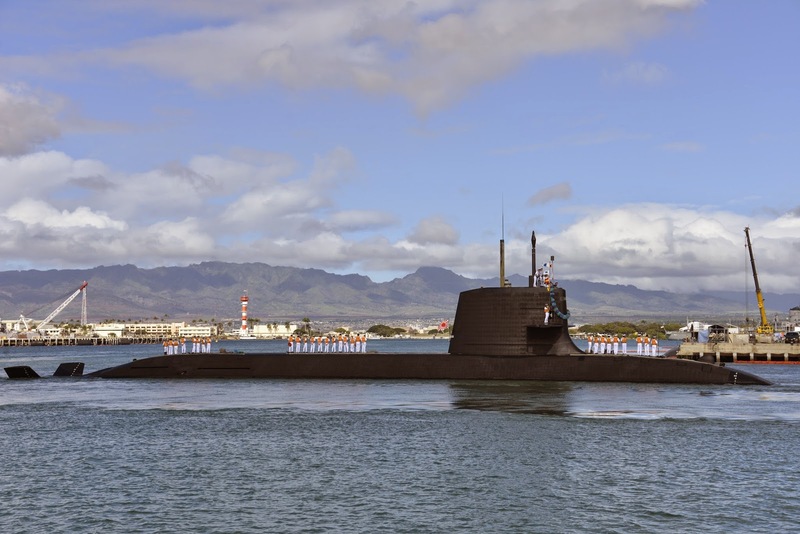 It made possible the July 2014 agreement between Japan and Australia to partner on marine hydrodynamics ahead of a replacement for the Collins-class boats which quickly morphed into what might become an outright buy of 10 to 12 submarines from Japan. If this export deal is realized, it would the first and most significant post war foreign military sales by Japan and is said to be worth about 20 billion dollars, hard cash which Japan desperately needs for rebuilding after the Tohoku earthquake and reforming to cater to a rapidly ageing population. It would also be a devastating blow to the Australian ship building industry who in my opinion really deserves losing the deal. Although the Abbott government had previously said that the Collins replacements would be domestically built, consistent poor performance by the state-owned ASC on not only the entire Collins project and its subsequent upgrade works but also on the current Hobart Class air warfare destroyer project which is suffering from delays and huge cost overruns ( A$600 million over budget and 3 years late ), makes it much easier for them to justify an outright purchase from Japan. Also, to have the Soryu built in Australia would incur a much higher cost, with some estimates at AS80 billion, almost double the original estimate of A$36 to A$44 billion. As Prime Minister Tony Abbott puts it, "The most important thing is to get the best and most capable submarines at a reasonable price to the Australian taxpayer". It would be really tragic if all that money is paid and the RAN gets another 12 Collins II instead. With the quest for precision and quality being almost a national obsession, you can be assured that anything that is made in Japan is nothing short of perfection. The Soryu Class will be no different. The Japanese worker takes tremendous pride in his work. The Aussies shall not regret that decision should Tony Abbott make that announcement by year end. But all is not lost for the ASC. With the projected savings from buying directly rather than building domestically, there may be plans to fast track the Australian ship building industry by getting ASC to build new "super" frigates using the hull design of the 6500 tonne Hobart Class destroyer. 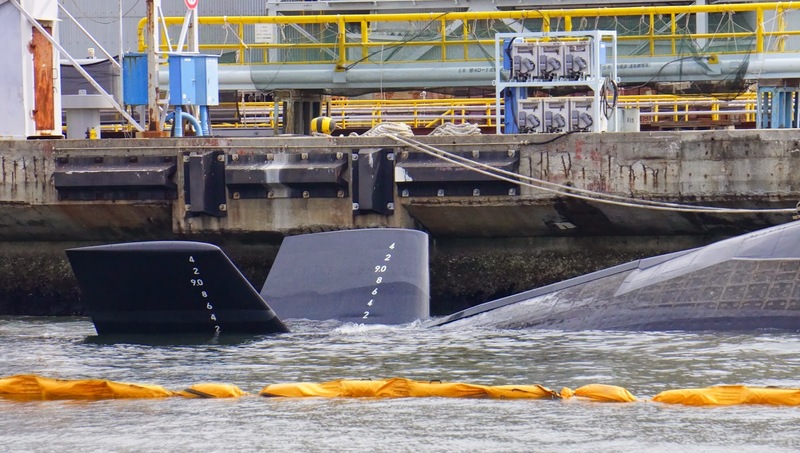 ASC will likely get service and maintenance contract for the upkeep of the new boats. The extra money saved could also be used to fund further purchase of the F-35 joint strike fighter which the Australian government had already pledged to buy. 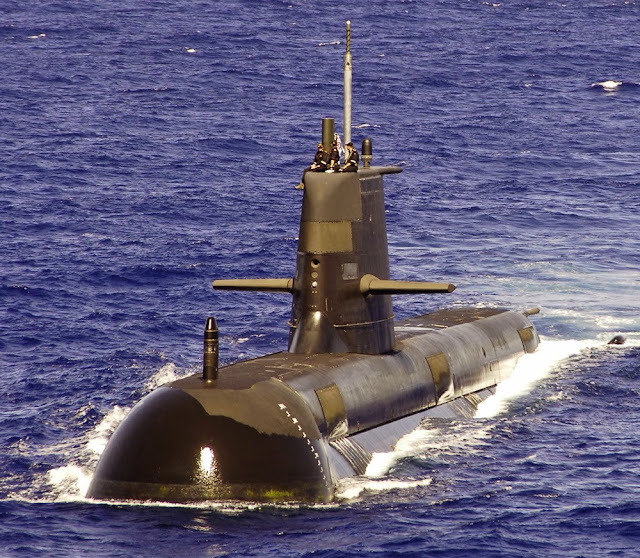 Another likely development could be the creation of a new submarine base, possibly at HMAS Coonawara in Darwin, New Territories, though I really do not know how *. With 12 boats projected, the current submarine base at HMAS Stirling in Perth, Western Australia will be swarmed. Having a northern base in Darwin will greatly reduce the transit time to the area of operations in South East Asia and the Australian East Coast. Aerial view of HMAS Coonawara. Darwin City's CBD can bee seen in the background 2km away. RAN Photo. * HMAS Coonawara is currently a small naval base supporting 8 Armidale Class patrol boats, within walkable distance of Darwin's central business district and close to the famous Doctor's Gully fish feeding attraction. The seabed will have to be dredged, the Larrakeyah Barracks and the marina next door will possibly have to be relocated to make way for the submarine pens. The operating range of the Collins Class SSK is in the region of 11830 nm (21000km) at a speed of 10.5 kts while that of the Soryu Class is about 6100 nm at 6.5 kts. The Aussies will likely want a bigger boat with longer range. 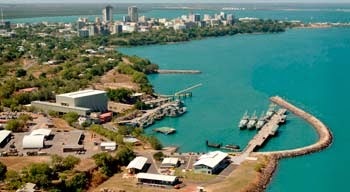 The magnitude of increase may well be determined by whether a new submarine base is going to be built in Darwin. The Aussies will also want "inter-operability" with their greatest ally the US Navy. So sensors and weaponry will have to be as identical as possible. The Type 89 torpedoes may have to give way to Mk 48 ADCAPs which the Americans use and which the RAN already has a stockpile of. A Mark 48 ADCAP heavyweight torpedo being offloaded from the Los Angeles Class nuclear attack submarine USS Oklahoma SSN-723. USN Photo. 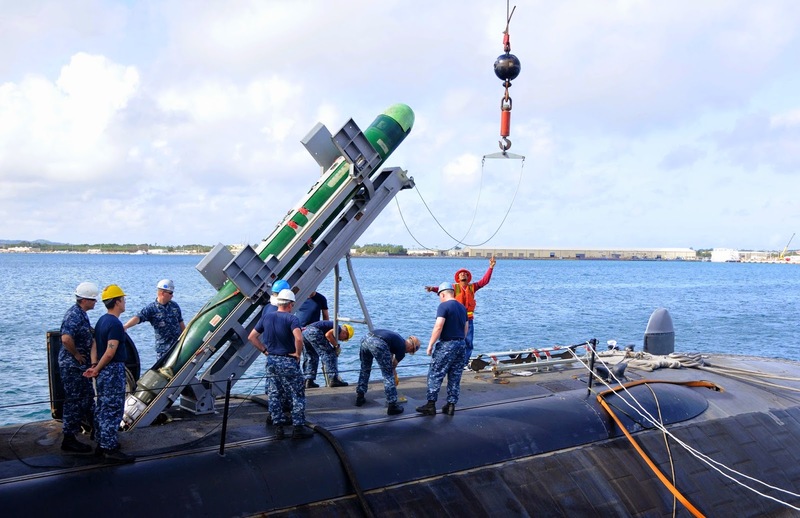 The ability to fire torpedo tube launched (TTL) Tomahawk Block IV cruise missiles on the Collins replacement could also be a likely modification. Unlike the Los Angeles Class Flight II boats and the follow-on improved Los Angeles Class boats which all have a 12 tube vertical launch system (VLS) for launching Tomahawk cruise missiles, the Soryu Class lacks such a capability. It would be expensive to integrate a VLS into a mature design if not technically difficult. Fortunately the TTL version exist and is currently used on the Royal Navy's Astute Class SSN. 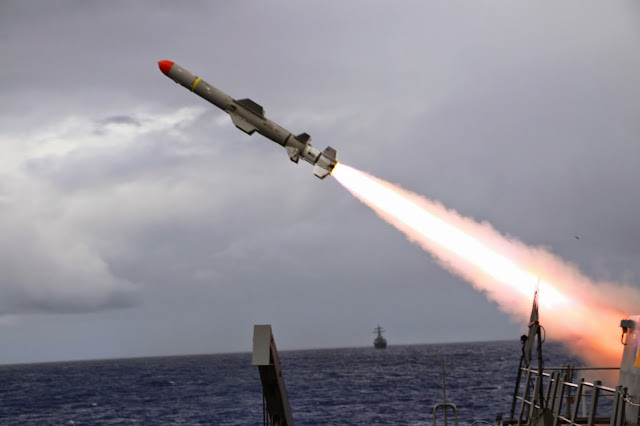 Model of the Tomahawk Block IV tactical cruise missile. USN Photo. The Collins project and the resulting 6 boats are a blemish to the proud reputation of Australian Navy and a disgrace to the entire ship building industry of Australia. It is a sad chapter in the long and illustrious history of the RAN that is best forgotten. The Australians should learn from their numerous mistakes committed in the past 2 decades and simply move on to the next chapter without making the same mistakes again. 12 boats sound like a huge fleet but I assure you it is not. Australia is Big, and the surrounding seas even BIGGER. To Tony, please buy from the Japs, because if anything were to go wrong this time, it will be their problem, not yours. To Abe the travelling salesman, you have done the sales pitch, please deliver well when the first order arrives, hopefully by Christmas. And may there be many more new orders for you to fulfill in the future.